The Arts and Crafts Movement developed in the second half of nineteenth century England as a reaction to the Industrial Revolution. Manufactured goods were often poorly designed, using inferior materials and produced by abused factory workers. 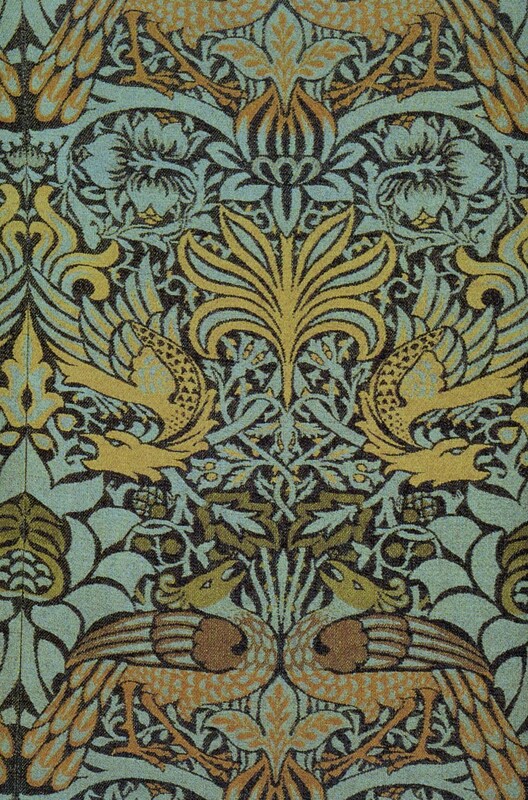 One of the first proponents of the Arts and Crafts Movement was William Morris (1834-1896). The artist, textile and wallpaper designer, writer and socialist promoted hand-craftsmanship for the decorative arts. 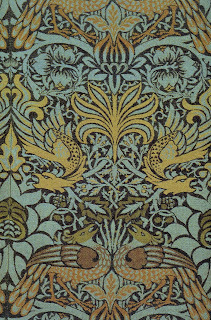 Associated with the Pre-Raphaelite Brotherhood, his Peacock and Dragon woven woolen fabric was inspired by Morris' interest in Medieval European and Middle Eastern textiles. Another English artist who followed the movement was Walter Crane (1845-1915). 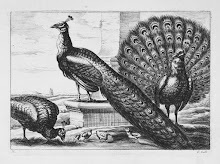 Influenced by Morris he believed that decorative arts should be available to all classes and promoted public exhibitions through the Arts and Crafts Exhibition Society. 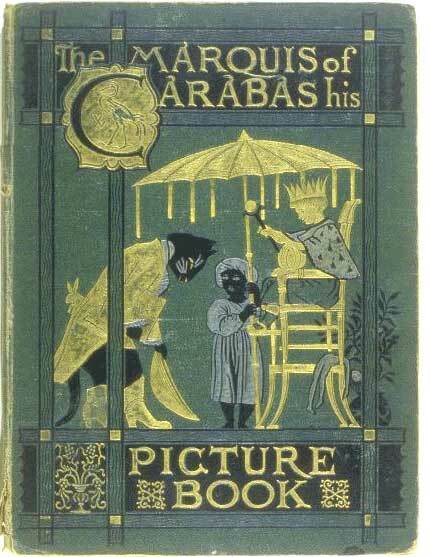 Crane produced paintings, decorative arts and children's books including The Marquis Of Carabas: His Picture Book. 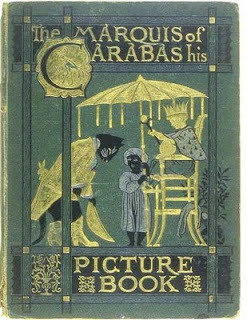 Charles Robert Ashbee (1863– 1942) was the son of a Victorian gentleman who collected erotica and a German mother who embraced the new aesthetic of the Pre-Raphaelites. Ashbee founded the Guild and School of Handicraft specializing in jewelry, metalwork, enamels and furniture. Located in East London the guild revived traditional crafts and provided employment to a deprived area. 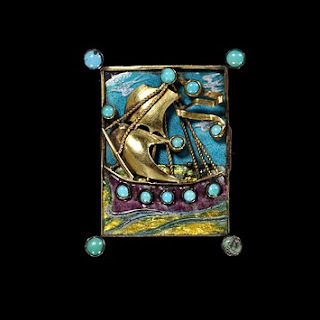 The brooch designed by Ashbee depicts a ship and is fabricated from gilded silver, gold, enamel and turquoises.